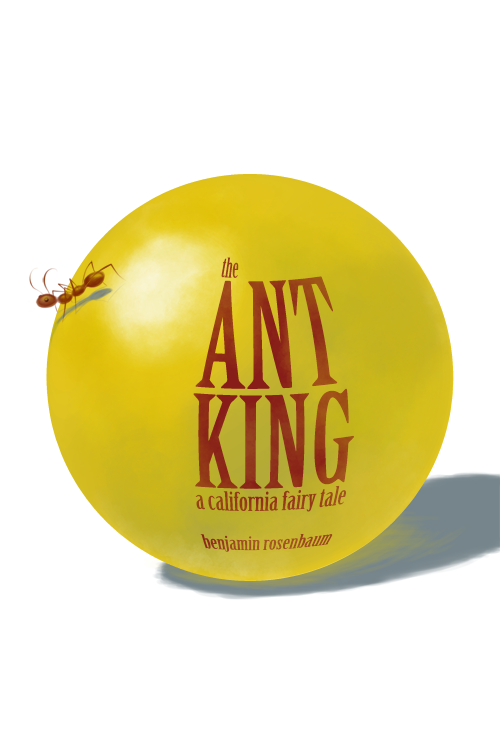 This one’s based on Benjamin Rosenbaum’s short story, The Ant King. In theory i probably should have done The Ant King and Other Stories, which is actually long enough to get a book cover, but A California Fairy Tale is a way more fun subtitle. Plus, finding a short story collection with a cover which actually matches the stories is like finding an Amish IT worker (i’d take a jab at Dell here, but i haven’t used their tech support in about four years, and i hear they’ve greatly improved since then), so given the choice between “a cover which actually matches the short story collection it’s for” and “a cover for a story which is so short it will never have need for its own cover…” well, the one with the cooler subtitle wins.